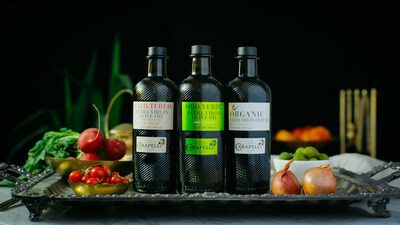 DALLAS, Oct. 9, 2018 /PRNewswire/ — Carapelli Olive Oil, the world’s number one premium extra virgin Olive Oil brand, celebrates its 125th Anniversary, from its traditional Tuscan roots as the first oil mill in Florence, to its global acclaim for its multi-award-wining product collection in 2018. “This year, we are delighted to celebrate Carapelli Olive Oil’s 125th Anniversary. Quality and innovation have always been deeply rooted in our value and mission since Carapelli’s humble beginnings in 1893, and our foremost commitment is to deliver the highest quality olive oil to our consumers,” says Miguel de Jaime Guijarro – Chief Commercial Officer at Deoleo parent company to Carapelli. 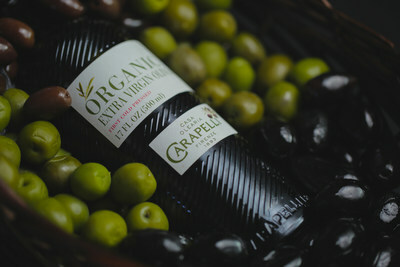 The Carapelli brand itself is a lesson in passion, love and only the very best olive oil. Started as a home business in Florence, Italy in 1893 by Cesira and Costantino Carapelli, newlyweds who invested her dowry into a factory and oil mill. The resulting extra virgin Olive Oil became so legendary, that by the 1940s Carapelli became the most modern food company in Italy. Now in 2018, it is the number one premium olive oil brand globally, recognized for setting new trends and innovations for olive oil — including an organic range, and unfiltered products for maximum purity and taste intensity. 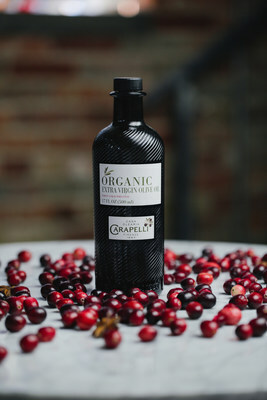 “At Carapelli, making olive oil is not just a process, but a form of art. And to ensure unmatched quality and flavor of the olive oils, it all comes down to olive which are carefully selected at the optimal harvest time by an olive master and treated with the utmost care to ensure the resulting oils have the most incredible flavour profiles, recognised by olive oil tasters the world over,” says Miguel De Jaime. Making it even more complex, exquisite flavours of Carapelli’s extra virgin olive oil cannot be derived from one specific olive variety or olives from single region, but from the blend of different olive varietals which are finely selected, ensuring the best combinations to create the exceptional characteristics of Carapelli olive oil. Deeply rooted in tradition and art to produce high-quality olive oils for its consumers, Carapelli’s mission remains the same after 125 years in the making — to ensure the best extra virgin olive oils reach tables around the world. “We are humbled to see how our historic brand Carapelli is recognized and embraced by consumers around the world. This is truly an artisan product that we trust will be delighting fans for another 125 years to come. Quality is eternal, and we remain firmly committed to delivering quality and innovative products to our consumers,” said Miguel de Jaime.